âSovereign & independent â: Congressman proposes US recognition of Taiwan Get short URL A California congressman has put forth a resolution proposing that the US recognize the island of Taiwan as a âsovereign and independent country.â The move is sure to anger China, which considers Taiwan to be a rogue province. Rep. Dana Rohrabacher (R-California) submitted a âsense of Congressâ resolution to the House Foreign Affairs Committee on Wednesday, urging the US to declare the âOne Chinaâ policy âeffectively obsoleteâ and recognize the âobvious realityâ that Taiwan has been an independent country for over 50 years. 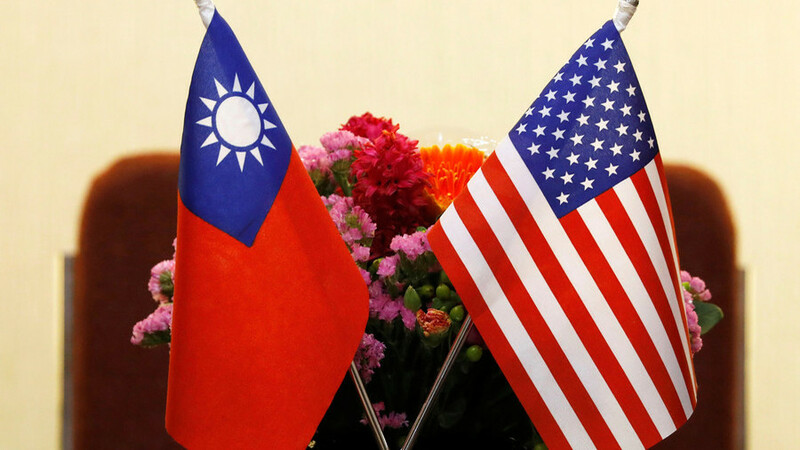 The US should also âaggre ssively support Taiwan's full participation in the United Nations and any other international organizations of which the United States is a member, and for which statehood is a requirement for membership,â says the resolution, which was posted on the website of the Formosan Association for Public Affairs (FAPA). Rohrabacherâs initiative comes just a week after the US-funded American Institute of Taiwan (AIT) unveiled its new $256 million headquarters in Taipei, over Chinese protests. The US-based nonprofit acts as a de facto embassy of Washington on the disputed island. âThis trend is highly dangerous for Sino-US relations and regional peace, since the Chinese mainland will make no compromise on the Taiwan question,â Da Wei, director of the Institute of American Studies at the China Institute of Contemporary International Relations, told the Global Times on Thursday. âChina will not retaliate against every single provocative move from the US, but when the provocations have accumulated and reached a specific level, China will no longer keep silent and may take countermeasures, which might surprise the US,â Da told the English-language Chinese daily. Rohrabacherâs proposal comes at a time when the Trump administration has escalated the trade conflict with Beijing, with tariffs and counter-tariffs on $100 billion worth of Chin ese and US goods scheduled to take effect on July 6. Diao Daming, a US expert who teaches at the Renmin University of China, told the Global Times that Rohrabacherâs resolution is part of a trend in Washington, pointing to the January op-ed by the new National Security Adviser John Bolton, who also called for revisiting the âOne Chinaâ policy. In March, US President Donald Trump signed a law promoting business and diplomatic exchanges with Taiwan, which also drew protests from Beijing. Taiwan was ceded to Japan in 1895, following the Chinese defeat in the Sino-Japanese war. US ships ferried the Kuomintang (Chinese Nationalist) forces to the island in 1945, to accept the surrender of the Japanese forces. The island became a refuge for the nationalists in 1949, after Mao Zedongâs Communist forces triumphed in the Chinese Civil War. The Taiwan-based Republic of China lost its UN seat in 1971, however, when the Peopleâs Republic of China was recognized as the legitimate government.